No bake desserts are my favorite. Desserts which you can whip up in minutes. 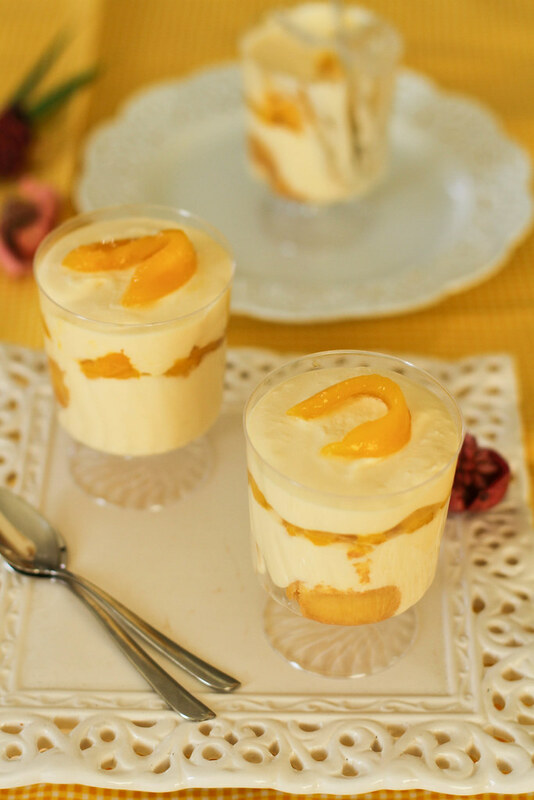 This Mango Tiramisu or ‘Mangomisu’, twist to the original Tiramisu, is one such no bake dessert which is tangy and sweet and every spoonful makes you say Yumm!! In a stand mixer or using a hand mixer whip the mascarpone cheese, cream, sugar, vanilla and egg yolks (if using) on high speed until the mixture has no lumps and has a very light cream color and thick. Dip the ladyfingers into the orange juice and layer in the base of the serving glasses or layer in a pan, if making a single portion. 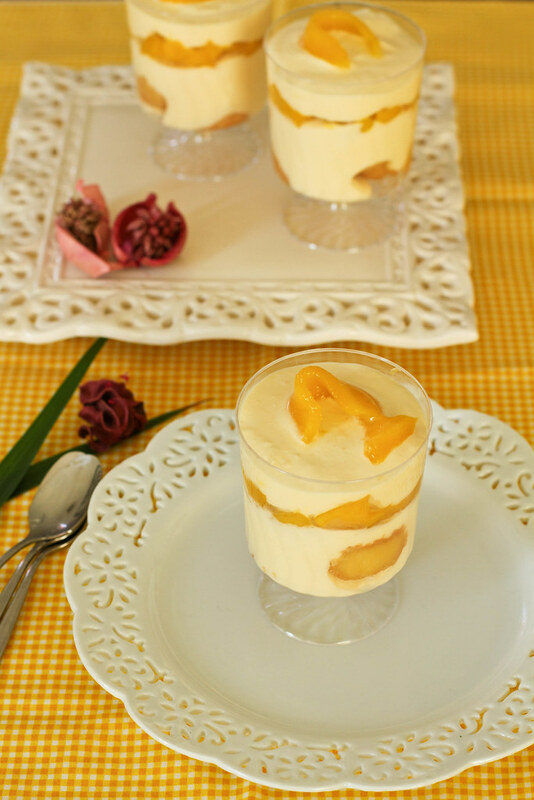 Spread one-third of the mascarpone mixture, and top with the mango slices. 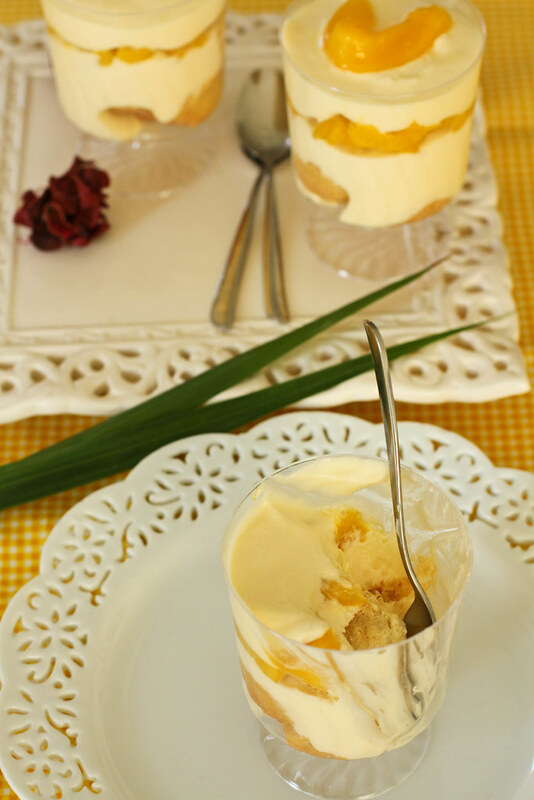 Repeat with the biscuit layer and the mascarpone mixture and the mango slices. Cover the glasses and chill for around 2 hours or overnight. Serve topped with the remaning mango pieces. You can use Mango pulp or Canned Mangoes, if you do not have fresh mangoes. Egg Yolks is optional, do not use if you are allergic or if you do not like raw eggs.